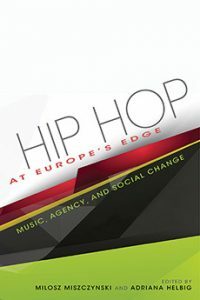 Responding to the development of a lively hip hop culture in Central and Eastern European countries, this book demonstrates how a universal model of hip hop serves as a contextually situated platform of cultural exchange and becomes locally inflected. After the Soviet Union fell, hip hop became popular in urban environments in the region, but it has often been stigmatized as inauthentic, due to an apparent lack of connection to African American historical roots and black identity. Originally strongly influenced by aesthetics from the US, hip hop in Central and Eastern Europe has gradually developed unique, local trajectories, a number of which are showcased in this volume. On the one hand, hip hop functions as a marker of Western cosmopolitanism and democratic ideology, but as the contributors show, it is also a malleable genre that has been infused with so much local identity that it has lost most of its previous associations with “the West” in the experiences of local musicians, audiences, and producers. Contextualizing hip hop through the prism of local experiences and regional musical expressions, these valuable case studies reveal the broad spectrum of its impact on popular culture and youth identity in the post-Soviet world. Milosz Miszczynski is Research Fellow at the Centre for the Digital Economy at the University of Surrey and a Research Associate at the University of Oxford’s Institute of Social and Cultural Anthropology. His current research focuses on production, distribution, and consumption of music in the digital economy.His past work on hip hop includes a book in Polish, edited volumes and journal articles published in the European Journal of Cultural Studies and Critical Sociology. Adriana Helbig is Associate Professor of Music at the University of Pittsburgh. She is the author of Hip Hop Ukraine: Music, Race, and African Migration and (with Oksana Buranbaeva and Vanja Mladineo) Culture and Customs of Ukraine.